Give your product the Competitive Edge! 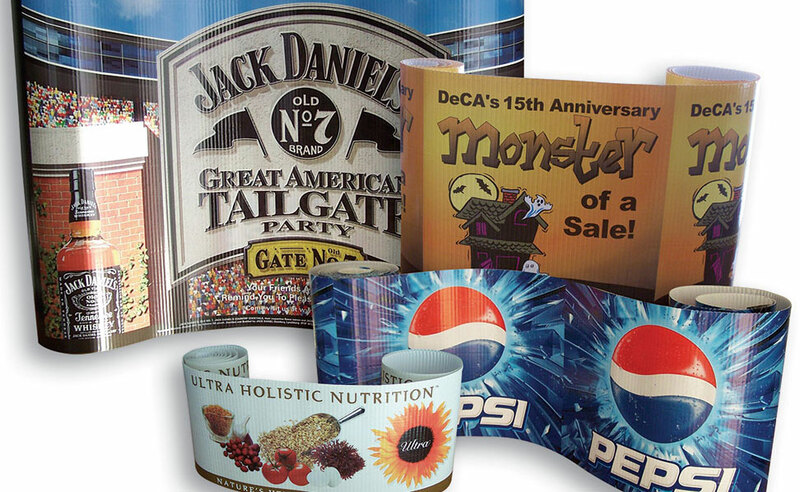 Discover a cost-effective way to promote your brand image with custom Corobuff; also known as Base Wrap, Pallet Wrap, Point of Purchase (POP), Brand Wrap, Image Wrap, Barrel Wrap and Bunker Wrap to name a few. We offer roll widths up to 48″ and provide a variety of repeats to satisfy all design requirements. We also offer E-flute and Kraft backing paper as a green option; along with our traditional B-flute and White backing paper. We have strong relationships with major consumer products companies in various sectors such as soft drinks, spirits, beer, food, and pet food. Please contact us to inquire on our custom 4-color process printing, rewinding, custom trimming capabilities, and packaging that we can tailor to your needs. Mandatory field Image Repeat (Repeat is the length of 1 image. Repeats will be adjusted closest to ours listed below)* 22" 24.75" 32.5" 36" 39.25"
Note: Lead time is 4 weeks after customer approval of your artwork and receipt of PO. Note: Any deviations from quote to order or additional requests while order is in process, will void all pricing and will have to be requoted. Please have all information available at time of quote.